Baltic Sea is still almost ice-free and sea waters are unseasonably warm. According to the Finnish Institute of Marine Research, waters around Finland are one or two degrees above the long-term average. 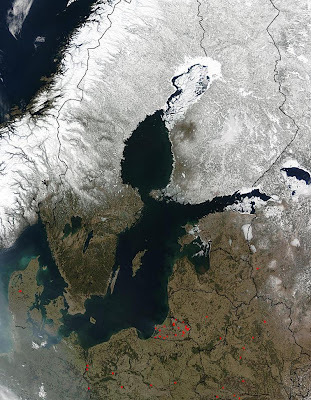 Normally, the northern parts of the Gulf of Bothnia are iced over in January. 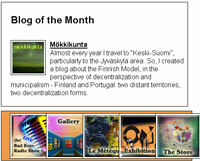 However, actually, ice is only to be found in the most northern areas of Kemi and Oulu. In southerly areas ice has formed only in some sheltered bays of the Gulf of Finland, like the Bay of Vyborg and near St Petersburg. 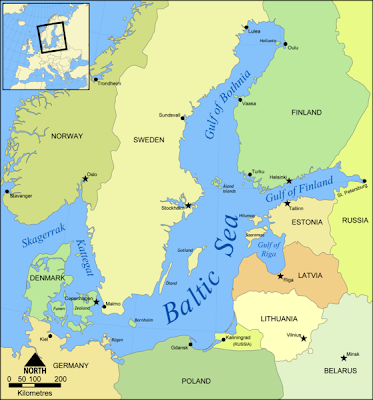 In winter, under normal conditions, ice would also be found in the open sea, between Helsinki and Tallinn. 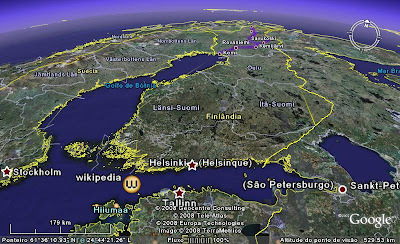 It is likely ice will form along the coast of Helsinki no earlier than in mid-February, officials are saying. There is less ice in the Baltic at present, than even at mid-January during the winters of the periods between 1988-1989 and 1960-1961. which showed the least ice cover during 300 yrs of recorded measurements. Second to the Finnish Institute of Marine Research, weather and ice conditions development during the winter of 1929-1930 (the 3rd most-free on record) were very similar to present sea conditions. The winter of 1930 was followed by a decade of low ice, which in turn was followed by a decade during the 1940s when the entire Baltic Sea froze over during the winter.